Can I Play LatLoto 5/35 Online? Read Reviews! Are you looking for a lottery that has a long and proud history? Chances are that your answer is a negative one, but still, we did get your attention, didn’t we? Today’s review comes from the Central European Country of Latvia and its LatLoto 5/35. While the 5/35 format ranks among the most prominent ones across the world, don’t rush to rule Latloto out yet. LatLoto 5/35 has been around since 1993 – three years after the restoration of Latvian independence. In 1940, the country was annexed by the Soviet Union unconstitutional and against the will of the people. The Latvian Lottery Company had been around since 1972. After the independence, however, the organization was transformed. 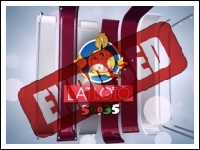 The first LatLoto 5/35 drawing took place on January 10, 1993. Very often, this date is considered the birthday of national lottery in the country. LatLoto has been going strong ever since and today, it’s still one of the most popular games in the country. Drawings are held two times per week – on Wednesday and Saturday – and they’re broadcast live on national TV. Is LatLoto 5/35 a Scam? The lottery has a history that already spans several decades. It is completely legitimate and there’s whatsoever, no risk linked to giving it a try. One of the games in the portfolio of Latvijas Loto, the game is a part of a structure set up by a national entity for the purpose of generating additional funds for the budget. In 1996, the organization became a state-owned joint-stock entity. Since then, various new games have been introduced. Today, Latvijas Loto has all of the following prominent entries in its portfolio – LatLoto 5/35, Eurojackpot, Vikingloto, Loto 5, Super Bingo, Keno, Dzokers and Dzokers 7. Scratch card and additional games are also available, giving players a chance to win some instant cash. Of all the funds generated via ticket sales, 32 percent is dedicated to the national budget. A fund set up to pay out prizes benefits from 48 percent of the funds generated via ticket sales. The organization dedicates 15 percent to administrative expenses and five percent cover expenses linked to ticket sales. Latvijas Loto is a member of the European Lottery Association. As such, it has agreed to responsible gaming principles and it has to adhere to certain guidelines adopted across the continent. How to Play LatLoto 5/35? Playing LatLoto 5/35 is a relatively easy task. For a chance to win the jackpot, you have to choose 5 numbers from a pool of 35. A single game entry costs 0.75 euro and drawings take place two times per week. Players can acquire their tickets either through the lottery’s official website or via an authorized retail venue. Apart from the basic game participation, the ticket could also ensure entry into additional games like Dzokers or Dzokers 7. An additional checkbox will have to be ticked for these opportunities to become validated. More advanced players can also opt to try a LatLoto 5/35 system. It’s possible to choose anywhere between 6 and 10 numbers for the respective drawing. A ticket featuring 6 numbers will cost 4.5 euro and a 10-number combination will increase the price to 189 euro. While such tickets are more expensive, they increase the odds of winning and they also make it possible for players to claim multiple awards via one ticket. The top prize is obviously the jackpot and the odds of winning this one are 1 in 3,246,320. LatLoto 5/35 is a game that has a rolling jackpot. If there’s no winner for the respective drawing, the sum will roll over towards the next one. While LatLoto 5/35 doesn’t produce the most massive jackpots out there, it has handed out a couple of pretty nice awards over the years. In May 2014, a player claimed the biggest jackpot in the history of the game – 175,942 euro. The second biggest jackpot ever fell in January 2010. The sum was 157,202 euro. Other than the jackpot, there are 3 additional prize tiers. The odds of winning each one are 1 in 360,702, 1 in 2,164 and 1 in 75 respectively. The sums will vary on the basis of the number of tickets sold for the respective drawing and the number of winners per prize tier. Information for the latest drawing, for example, suggests that the prize for 3 matched numbers was 46.3 euro and the lowest prize, for 2 matched numbers, was 7.01 euro. Would you mind rating LatLoto 5/35? Winners have a few essentials to keep in mind in order to claim their funds successfully. Prizes of up to 150 euro can be claimed either online or at any certified retail venue. Sums in the range from 150 to 720 euro can be claimed in a Riga store run by Latvijas Loto, as well as after making an online claim. Any bigger sum will be paid out at the Latvijas Loto headquarters in Riga. Players have 30 days from the date of the drawing to submit their payment claim. By 2012, funds won via a lottery were excluded from income tax calculations in Latvia. Currently, a 25 percent tax will apply to the amount won. Can You Buy LatLoto 5/35 Tickets Online? The official LatLoto 5/35 website enables the online acquisition of tickets but you need a Latvian ID in order to register. Thus, if you’re an international player in another country, you will be deprived of the opportunity to test out the game. International players who are residing in Latvia can get their tickets from any authorized retail venue in the country. So here you go, we hope that the information is useful, LatLoto 5/35 is a neat game with excellent odds in comparison to many other European and international games. A single entry is also rather inexpensive and you can experiment with the Jokers to find out how these could potentially affect your prize. If you are in Latvia, there’s absolutely no reason to keep yourself from giving LatLoto 5/35 a try. The odds of picking 5 correct balls out of 35 are tempting and simple enough for any first time player. I love how they continue to work with new innovation and technologies even though the operators have been around for decades.